In the October 28, 1878 issue of the Courier-Journal, we find a story of a "Wild man of the Woods" being captured in the wilderness of Kentucky and placed on public display in downtown Louisville. The mysterious humanoid creature was said to be over six feet tall, and possessing eyes twice as large as a human's. Try to picture that for just a moment - pretty horrifying if you think about it. What intrigues me most of all about the sketchy details of this news report, though, is that the monster-man in question purportedly had scales instead of skin. Like so many Victorian-era news stories of the day, this one was treated rather matter-of-factly despite its outlandish subject matter, and was not followed up on in subsequent issues. 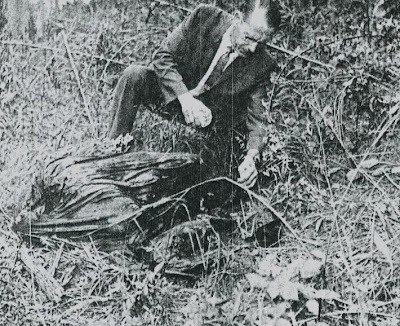 Whatever became of this reptilian "wild man" is not known, and at this late date it's unlikely we'll ever know. Moonshine, that other legendary Kentucky drink besides Bourbon, is a real Kentucky delicacy and not something that Al Capp just made up for “Li’l Abner.” I’m continually amazed at how many city-folk I encounter who thought moonshine was just a weird urban legend, or simply a colorful euphemism for whiskey. Place the mash into a “Still” (home distillery) and turn on the heat to 175 degrees. 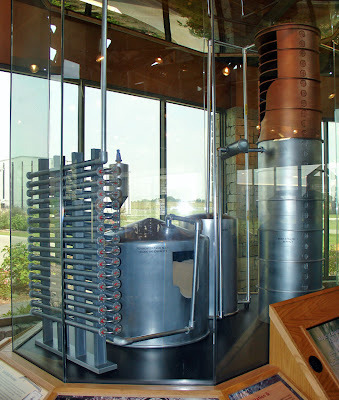 The idea is to heat the mash to the vaporization point, and collect the steam vapors rising from it in the still’s copper tubing. This condensation then collects in a separate container, and this, my friend, is moonshine; the mystic elixir that Snuffy Smith called “corn squeezin’s,” the medicinal balm that Pogo Possum called “Aunt Granny’s Bitter Brittle Root,” the holy grail that Grandpa Jones called “Mountain Dew.” The soda pop of the same name, by the way, used to depict cartoon hillbillies on its bottles before the days of political correctness. Poorly produced moonshine can not only be horrible to drink, it can also be toxic. A common practice back in the day was to pillage auto parts for assembling a still, such as the radiators and coils. 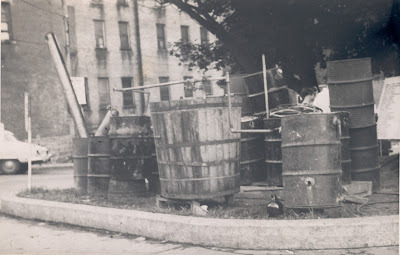 Needless to say, this was unsafe and led to moonshine that contained traces of lead poisoning. This hazard obviously doesn’t apply to the majority of moonshine being produced, of course, but that didn’t stop the Government “Revenooer men” from exaggerating the risks in their anti-shine literature of the 40s and 50s. Even today, I found a current scare-site on the web that warns “About 80 percent of all adult lead poisoning deaths are related to moonshine consumption”. Personally, I find this claim to be ludicrous, since there’s obviously far more people exposed to lead paint and lead pipes still in public use out there in the world than there are moonshine drinkers. The confusion with whiskey comes from the fact that Kentucky Bourbon is at least 51 percent corn-based rather than rye-based, and literary references to "corn liquor" might mean either Bourbon or Moonshine. Whiskey and bourbon have a different fermentation process, must be aged in special oak casks, and usually contain a blend of grains. The most famous portrayal of moonshine in film was probably the 1958 film Thunder Road, in which the great Robert Mitchum played a bootlegger from Harlan County, Kentucky who drove a supercharged Ford with a secret compartment tank for transporting moonshine into Tennessee. The iconoclastic film, presenting Kentuckians flouting laws and eluding cops in high-speed car chases, was the grandfather of all Smokey and the Bandit -type films that followed. For better or for worse. Today this scrap of a 1942 Louisville Courier-Journal newspaper fell out of an old book - a 1930s RCA catalog of radio tubes that I bought in Madison County in the late 1980s. I've shlepped the book around the many different places I've lived since then, and never noticed the scrap tucked into it until 2009. 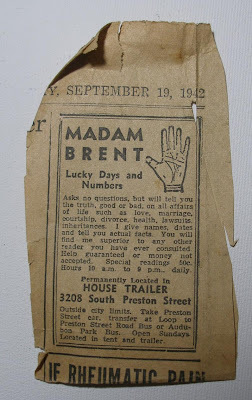 The scrap seems deliberately torn out of the paper for the purpose of saving Madam Brent's advertisement, since the reverse side is only a truncated portion of an article. I can't stop staring at it, wondering what it must have been like to drive down Preston Street (before it become Preston Highway) to a "tent and trailer" to see Madam Brent while World War Two raged on. And the longer I stare at the ad, other questions enter my head. Even in a 1942 economy, how did someone support themselves giving "special readings" way out past the edge of town for fifty cents? And being open for business from 10am to 9pm, seven days a week? Was Madam Brent possibly, just possibly, selling something else besides psychic readings? Though it's nowhere nearly as crippling and catastrophic as the one that struck much of the state in February 2003, this recent ice storm is indeed a humdinger. 202,000 are without power tonight in Louisville. Trees and power lines are down all over the place, of course. I had to pour saucepans of boiling water on my car yesterday morning just to get the thick inches of solid ice off. The photos here show the view from my back porch. 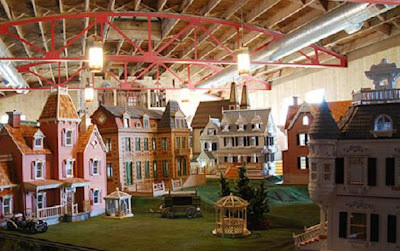 Next time you're anywhere near Danville, KY, swing by to check out their swanky new Dollhouse Museum. Even if you're an all-American he-man red-blooded male who thinks dollhouses are girly stuff, give it a chance and prepare your senses for the disquietingly vertiginous feeling of walking amongst expertly prepared miniature buildings and people. It's like you're Godzilla walking through Tokyo (except Tokyo looks more like Little House on the Prairie or Wuthering Heights). Actual dolls don't interest me so much, but I'm obsessed with miniatures in general (I know, I know, I'm obsessed with a lot of things), like the teensy-tiny pictures on the wall, the miniscule frying pans and ears of corn no bigger than a pinky fingernail on the tiny kitchen tables. If you haven't really paid attention to craft miniatures, like in the minatures aisle at Hobby Lobby, you probably don't get what I'm talking about. Immerse yourself in this museum and you might develop the same fascination with ever-diminutive size and scale and proportion. 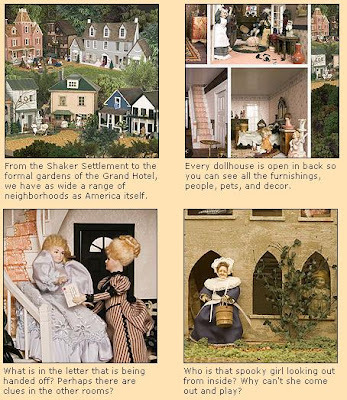 They have a playroom for kids to actually get hands-on with some more durable examples of dollhouses, and a gift shop filled with books about dollhouse culture and miniature culture. They're at 344 Swope Avenue and you can call 'em at 859-583-8000 if you get lost on the way. As Melvin Goins used to say on his WSKV radio show, "Tell 'em *I* sent you *by! *"
On February 21, 1922, the U.S. Army was called in for this publicity stunt, to make a big showy deal out of destroying these confiscated moonshine stills in Newport, KY. 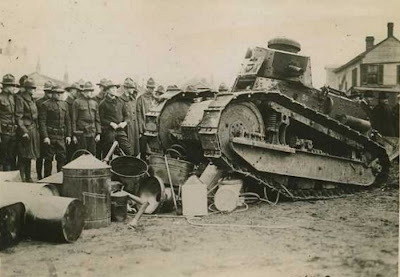 The hope was that the media publicity of a tank crushing metal drums would help deter people from making their own alcoholic beverages. It didn't work. I'm not exactly sure that this is the sort of thing that our military was intended for, but there it is. The "chemtrails" conspiracy theory claims that the contrails left by jet planes are being augmented with various mysterious substances for nefarious purposes. Some versions of the story say it's for mind control, biological experimentation, weather control, and/or "Secret Weapons for Secret Wars"-type stuff whose actual purpose we could never fully grasp. This fellow in Paducah shot some digital video of what seems to be bits and strands of white gossamer webby filaments falling en masse on a sunny day, and makes the claim that these are dangerous chemicals being dispersed as part of some evil Government conspiracy. I present it here impassively, neither endorsing nor ridiculing it. 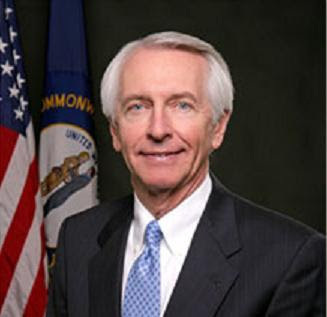 Kentucky Governor Steve Beshear will appeal a court ruling that stops the state seizing domain names used by Internet gambling sites. In a 2-1 ruling last Tuesday, the Kentucky Court of Appeals said the state does not have the jurisdiction to seize online casinos' Internet domain names in an effort to keep them from operating in the state. The ruling also said a Franklin Circuit Court judge cannot hold further hearings on the issue. 141 domains had been shortlisted for seizure, including two bingo sites, the hugely popular poker room, Poker Stars, and some major sports betting sites were also slated to be targeted under the move. Poker advocates welcomed the Court of Appeals' ruling, with Poker Players Alliance Executive Director John Pappas calling it "a tremendous victory for Internet freedom and the rights of Kentucky residents who enjoy playing online poker." "The Court of Appeals has agreed with the PPA's position that Judge Wingate did not have jurisdiction to issue the order that he entered against these domains and that Secretary Brown had no legitimate right to deprive the citizens of Kentucky of the legal right to play poker online." However, Kentucky's Secretary of Justice and Public Safety, J. Michael Brown, said that the state would continue to fight the ruling. What qualifies this whole issue for Unusual Kentucky is not to take a position in support of online gambling, nor to incite partisan arguments from Democrats, Republicans, or Independents. It's to observe Beshear and Wingate's utter cluelessness about how the internet works, which they are continuing to take to embarrassing extremes. The hypocrisy is further compounded by Beshear's own efforts to bring brick-and-mortar casinos to Kentucky. It's making Kentucky look naive, stupid, and greedy in the eyes of the rest of the world, and speaking as one of the staunchest defenders of the integrity and value of our fair state, I for one take great offense to it. I shouldn't mention The World's Largest Bat at the Louisville Slugger Museum without calling attention to downtown Louisville's other giant bat - the one that hangs off the side of Caufield's Novelties just a few blocks further down Main Street (And if you look closely at the photo on the Slugger Museum post, you can also see another company that piggybacked the concept - a plate glass company with a giant baseball seeming to crash into the side of their building). Caufield's is a must-see for seekers of weirdness in Kentucky, as it has the finest selection of Halloween supplies, horrific props, creepy costumes, and assorted bric-a-brac and cultural artifacts. My theatre company, Catclaw, gets a lot of our makeup, costumes, props and other supplies from Caufield's, and a lot of my goth pals score much skull swag from there as well. Don't let the cheesy "party shop" feel of their website put you off - the actual brick and mortar store is a mighty creepy experience. And also check the site for their yearly Halloween Parade! The World's Largest Baseball Bat leans against a building in downtown Louisville, and at 68,000 pounds it's certainly an enormous attention-getter for the Louisville Slugger Museum. The Louisville Slugger bats have been manufactured here since 1884, and are the official standard bat of Major League Baseball. Currently, two of their galleries are closed for renovations and will be unveiled in April 2009. They're still conducting factory tours while the renovations are underway, however, and most exhibits are still on display. Baseball's the only major "two teams of guys try to get the ball" kind of sport I remotely care about, and even then primarily for its mythic resonance. 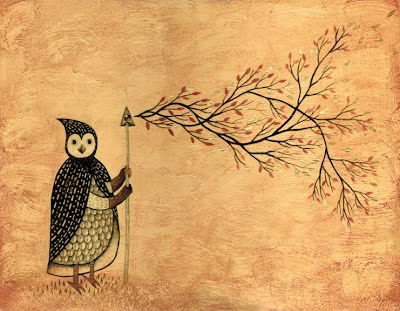 This place has that mythic resonance and then some. Tonight, a policeman discovered an orange prison jumpsuit discarded alongside Interstate 64. It's believed to have been worn by Charles Ray Locke, who escaped from the Blackburn Correctional Complex in Lexington on January 17th. Charles Ray Locke, D.O.B. 10/03/1955, age 53, white male, 160 pounds, 5'10", He was last seen with brown hair and blue eyes. Locke has a dragon tattoo on back, butterfly/snake tattoo on chest and a spider/Russian emblem on his left arm. If you have information on Locke, call the Kentucky State Police at 502-227-2221 or 1-800-222-5555. 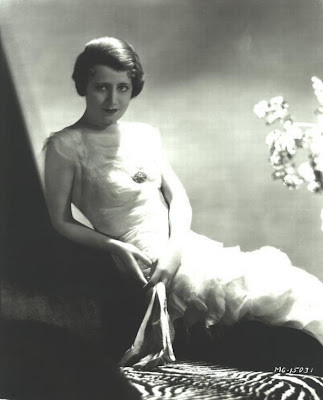 Five-time Academy Award-nominated actor Irene Dunne is another Kentuckian who did good in the big city of Hollywood. She was born in Louisville, the daughter of a riverboat inspector and a concert pianist from Newport. Dunne has been described as the best actress to never win an Academy Award, receiving five "Best Actress" nominations during her career: for Cimarron (1931), Theodora Goes Wild (1936), The Awful Truth (1937), Love Affair (1939) and the film she's most remembered for today, I Remember Mama (1948). Her final feature film was in 1952, a surreal film called It Grows on Trees, a about a couple who discover a tree in their back yard with actual money growing off of it. Read more about Irene on our Voraxica blog. All my life I've been a degenerate record-collector-scum, having hoarded countless hundreds of thousands of 78s, cylinders, 45s, LPs, EPs, 8-tracks, cassettes, Mini-Discs, CDs and MP3s over the years. And if you're as OCD about it as I am, you understand that obsessives such as ourselves can't help but pick up obscure records at yard sales and flea markets by old cheesy lounge acts, and enjoy them for the kooky thrills they provide. But among those, how many of them can genuinely be said to be GREAT, not just merely campy, kitschy or funny? Meet the Rick Hipple Duo. Rick Hipple plays organ and provides some very Wayne Newton-esque vocals, while Lou Stansfield plays the drums. 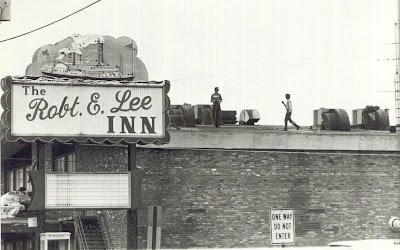 They performed their act at the Cabaret Lounge and the Robert E. Lee Inn, both in New Albany, IN, and also played at Holiday Inns in Louisville. Sometime in the late 1970s the duo just disappeared. No one seemed to know what happened to them. Like so many other things in life, they probably were not truly appreciated until their absence was felt: "Hey, whatever happened to those crazy guys in suits who actually played "Aquarius" on the organ one night when my drunk girlfriend screamed at them to play it? They were a trip". We now know that Hipple moved to Florida and released a solo record there, which is rumored to have found the man drifting towards ELP/ELO territory. Hipple tragically died of brain cancer a few years later. Where Stansfield went is still a mystery. A reliable source tells us he's a truck driver still living somewhere in Indiana. It's hard to measure the influence of the Rick Hipple Duo. The JSH Combo has named Hipple as a great source of inspiration, sharing as they do a similar love for the Bill Black Combo. Kentucky Artists Steve Rigot and Cathy Irwin, who saw the duo live many times, painted a primitive neo-expressionist portrait of them which is now in the permanent collection of Louisville's Deatrick Gallery. The records Hipple released have no doubt provided puzzling evidence to many unwitting persons who plucked them for chump change in a junk store somewhere, and hopefully will continue to astound and inspire the youth of today who seek to unravel the arcane mysteries of the early 1970s. Do you have any information about the Rick Hipple Duo? Please e-mail us and let us know! 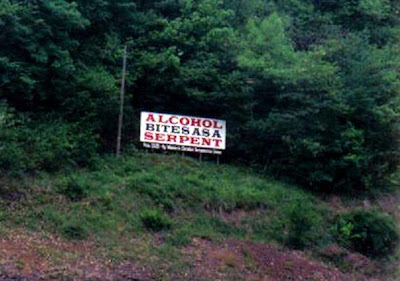 These "Alcohol Bites As A Serpent" religious billboards have been seen in Northern and Eastern Kentucky. I've lamented more than once before about how the vast majority of ghost stories in William Lynwood Montell's book Haunted Houses and Family Ghosts of Kentucky don't contain much in the way of verifiable information. In most cases, the county is the only piece of identifying data we're given, which renders further attempts at research pretty much useless. 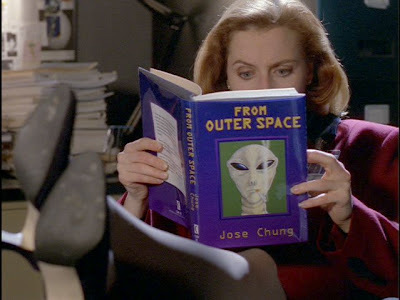 Don't get me wrong, the book is great if you're simply into "ghost stories" for their own sake. But I am not. My interest in paranormal phenomena is hands-on investigation, not the idle telling of tales that your hairdresser's granny swears happened to her mailman in 1956. One of the stories in Montell's book that could potentially be followed up on, however, is one on page 87. 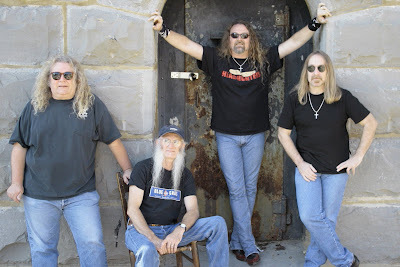 It says that the Kentucky Headhunters had a rehearsal house in Metcalfe County that was - and is - haunted, though they continued to jam there and wrote many of their hit songs there. According to the book, "This old practice house became a very famous institution when the Headhunters won all their Academy Awards." Names are rarely named in Montell's collected anecdotes, but this one specifically states that a woman named Ellen Broady was a victim of apparent Spontaneous Human Combustion, burning up to a crisp in the house but not burning the house itself at all. 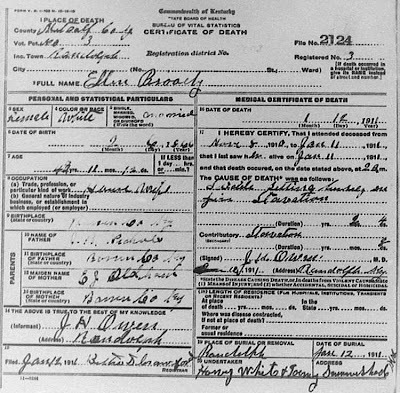 Sure enough, a Google search turned up a death certificate for an Ellen Broady who died in Metcalfe County, Kentucky on January 12, 1911. The doctor's handwriting is very hard to read, but it appears to say the cause of death was "Probably setting herself on fire." They just don't make records like this anymore. So what do you do when you're Colonel Sanders, you've just sold out your restaurant empire, your name and even your likeness to a corporation, and you don't want to just rest on your laurels? You start a new restaurant under your wife's name, of course! Most people - even Kentuckians don't realize that Claudia Sanders' Dinner House in Shelbyville, KY has been going strong since the 1960s, offering the one true real actual original Sanders Corbin-era secret formula for his chicken (apparently he had already drifted somewhat from his own original formula by the time he'd sold out, and his restaurant empire had expanded to over six hundred locations). The gift shop/waiting lounge is a shrine to the goateed one, offering rare limited posters of a Colonel Sanders painting that new owners Tommy and Cherry Settle discovered in the basement when they took over the property. 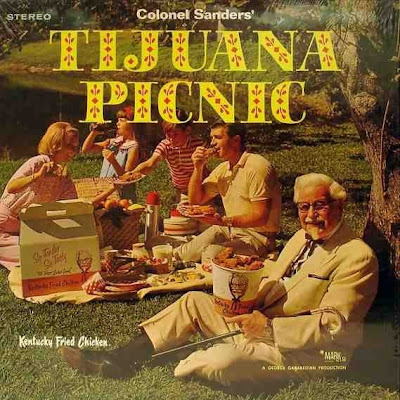 Other oddities such as the infamous "Colonel Sanders Mandolin Band" LP are matted and framed on the wall, although I didn't see his Tijuana Picnic album. I'm no KFC-basher by any means - let it be said I love the KFC of today (sorry, PETA) and support Yum! Brands one hundred and ten percent in their efforts to keep their family of brands vital in an increasingly scattered global marketplace. But the food at Claudia's just can't be beat, and the atmosphere lends a true Southern grandeur and splendor to the meal. If you never had a reason to drive to Shelbyville before (and there are plenty of other reasons), now you do. Get thee to Claudia's and taste some history. 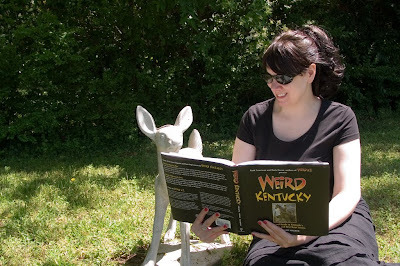 And check out page 136 in your copy of Weird Kentucky. Remember the Heaven's Gate people? In 1997, thirty-nine members of this UFO-worshipping group committed mass suicide, dressed in black and wearing their hair in buzz cuts. They killed themselves off in shifts, using a combination death-trifecta of pills, alcohol and suffocation. Their leader was Marshall Herff Applewhite, a former music professor from Texas. 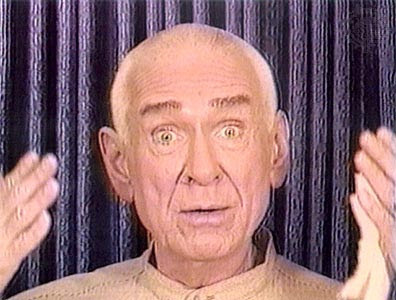 In the months leading up to their mass suicide, several Heaven's Gate members, including Applewhite himself, castrated themselves, in preparation for a spacecraft that was scheduled to pick up their souls after death and take them to a higher plane of existence. Seems to me that if you're a sentient disembodied soul, you're already on a higher plane of existence and don't need a spaceship, but hey, it's their religion, not mine. It seems that Applewhite, before he became famous, and a companion -- presumably Bonnie Lu Nettles, the woman who introduced him to the world of metaphysical studies -- made a one-day pilgrimage to Hopkinsville on Oct. 9, 1973, to visit Edgar Cayce's grave at Riverside Cemetery. While here, they checked into the old Holiday Inn on Fort Campbell Boulevard, now the Econo Lodge, where they managed to make a lasting impression. At the time of the 1973 visit, there had been quite a bit of publicity about psychic David Bubar's claim that he received an "angel message" from Cayce, directing him to establish a mountain-top healing center near Hopkinsville. Interestingly, news reports of the day indicated that Bubar, of Memphis, received his instructions from Cayce's spirit on Sept. 8 of that year while also staying at Hopkinsville's Holiday Inn. Applewhite's visit to the community caught the attention of the late Joe Dorris, who wrote about it in his "Watching The Parade" column, published on Oct. 19, 1973. Dorris' Applewhite column -- based on an interview with Chip Miles of the Holiday Inn -- had been saved all these years by Johnson, who stumbled across it and made the Heaven's Gate connection several months after the cult's 1997 mass suicide. In the column, Miles recounted how a mysterious couple, without a car and no luggage, showed up at the Holiday Inn and asked for a room. The man's driver's license identified him as M.H. Applewhite, 42, and he told the desk clerk that he and the woman were from Texas. When a maid went to clean their room the next morning, she found the guests had vanished, skipping town without paying the $20 motel bill. Left behind was a two-page note that suggested the man and woman were not from this world. "Dear Sir: Thank you for permitting us accommodations in your inn. It would be impossible to explain to you who we are, where we come from, and who we represent. If we tried, you would not believe us. "We exist in another dimension, which does not allow for the use of currency. We are on the planet for a few more months and our mission is for good. "It would be useless for people to attempt to treat us as they would their own or to bring us harm, for it would result only in their death. This note is true and certainly not to be understood as threatening but as thanks for accommodations. "This information should be kept in the strictest of confidence for your best interests. You will be rewarded well for your cooperation." Miles, although out $20, had some fun with the odd encounter, according to Dorris' column. On the Holiday Inn marquee, he changed the wording from the traditional "The Nation's Innkeeper" to "Innkeeper Of The Universe." "It was probably worth the publicity we got out of it," Miles said, with a laugh, while recalling the incident after he was asked about it earlier this week. Now, more than 28 years later, Miles said he still remembers the purported space travelers and the note they left for him. However, Miles said he had forgotten that the stranger from the Lone Star state signed his name M.H. Applewhite on the motel's guest register. As a result, he never made the connection to the Heaven's Gate mass suicide when it occurred about 23½ years after the two Texans visited Hopkinsville. "I'll be darned. I just never put all that together," Miles said. About two years after seeing Hopkinsville, Applewhite and Nettles made national headlines when, claiming to be space aliens, they reportedly convinced a group of 20 people from Waldport, Ore., to leave their homes and move to Colorado to meet up with a space ship that was supposed to take them to a far-off planet. Didn't I see these guys on a box of coughdrops once? I forgot to make a note of whose grave this is (in Louisville's Cave Hill Cemetery), but these sculptural busts certainly made a big impression on me. They're also the sort of thing that you would probably miss if you blinked while walking by: Though you can't tell from the photo, these guys are way high up at the very top of a tall towering gravestone. You can't even really get a good look at them without taking a zoom-in photo as I have done here. I remember the green lights were the color of a green LED such as that you would find on a computer monitor. I remember I saw one BRIGHT light. I remember a voice calling saying, "Drop the tunug." It was a robotic voice. I remember calling out, "I do not have anything in my hand." The voice said again, "DROP THE TUNUG. "I started running. I remember praying in my head, "LORD, I am not doing ANYTHING wrong.. PLEASE save me. I will always serve you no matter what, so PLEASE help me." I remember this horrible pain going through my legs, and I fell to the ground. I heard a clicking noise. I remember someone walking up to me. They put handcuffs on me. I was told to get up, and not to move, or I would be shot with a taser. I know a LOT about tasers. I remember that I was taken to a building. It was a building, that i had never seen before. When I got in, I heard the building making a low pitched humming noise, and there were several machines with lines, and other thangs going across their screen. I was told to sit down. I sat down in a little chair which had several buttons and cranks on it. I saw a red button that said, "For emergencies only." I remember I was told to sit and be quiet or I would be tased again. I was hooked up to a pulse oximeter, which monitored my oxygen levels, and a mask was put on my face. I remember them saying my oxygen was VERY low. I was taken to a little room, and was hooked up to an EKG machine which beeped to my heartrate. I was then told to put my face up against this machine. I remember my Mom had told me before NEVER to look into something unless I knew what it was. Of the report, NUFORC states: "This report is an obvious hoax. However, we post it here, in order to illustrate to those who visit our site the type of stupidity our Center often has to put up with. Fittingly, we feel, the source of the hoax prefers to remain anonymous." Now, you know and I know this story is 99.999999999 likely to be nonsense, and yet I have to say that there really is a truism in covert operations of any kind: if you're up to any top-secret CIA-type skullduggery, all you have to do to make sure no one believes it happened is to make the circumstances really stupid sounding. As Jack Ruby once purportedly said: "You know why these CIA guys do so much stuff that don't make no sense? 'Cause when you try to tell somebody else about it, you don't make no sense neither." Do I think for a moment that there's a chance that this is what happened here? Well, no, not really. 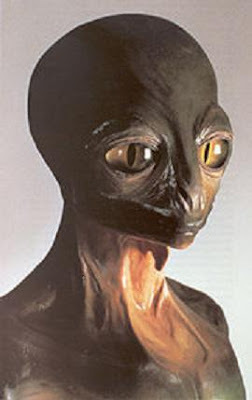 But it does make me think that when the next team of DARPA/NSA spyboys decide to do some bogus-UFO-related psychological experiments on humans, they'll dress in goofy rubber alien suits and tell their victims to "Drop the Tunug!" 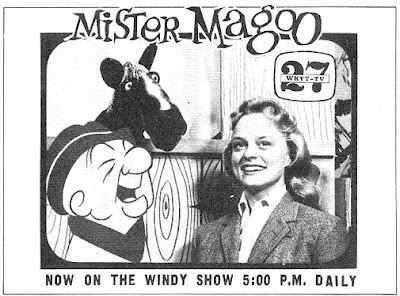 From 1959 to 1965, a kid's program called The Windy Wonderful Show aired on Lexington's WKYT, Channel 27. Like Happy's Hour, it was primarily intended as a vehicle to host cheap programming like Popeye, Mr.Magoo and The Three Stooges but soon the popularity of the host puppet became the real attraction. Here, that puppet was Windy the Horse, accompanied by his young female friend Mary Ann. Later characters included Windy's French cousin Maurice and a ventriloquist dummy named Harold Zink. Everything was done live, without scripts and there were more than a few rough spots. Like the time a small monkey was brought on the show. "That monkey took one look at Windy and leaped, screaming up into the over head studio lighting equipment," Faulconer recalled. "After the 11 '0 clock news went off that night they were still trying to coax it down." Even after Windy the Horse was put in mothballs, Mary Ann continued on several years longer with a spin-off show call Mary Antics, and then was seen on Channel 27's Christmas programs well into the 1970s. In a day and age where even obscure Lexington TV shows like Monsterpiece Theatre are on youtube and well documented online, you'd think there would be something about WTVQ's Happy's Hour on the web. But surprisingly, there doesn't seem to be. In the late 1970s and early 80s, Happy's Hour was an extremely popular afternoon children's show that acted as a showcase for old Three Stooges and Flash Gordon episodes. Airing on Channel 62 (later 36) at 3:15 weekdays, it quickly became a hit with kids, not for the old black and white films but for the show's hosts: a hobo-clown named Happy and his frog puppet sidekick, Froggie, who would pop out of a window on the wall and say insulting things. The show began to jump the shark when Happy and Froggie became the mascots for "Picture Pages", a local weekly newsprint giveaway full of "educational fun for kids", and then when an obese slovenly clown called "Happy #2" started to host the show more and more. Somewhere I have a 45 RPM record of the Happy's Hour theme, and when I do find it, I will digitize it. 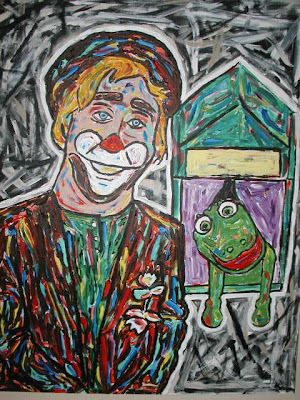 Meanwhile, all I have handy is this photo of a painting of Happy and Froggie that appeared in my Desperate Telegrams one-man exhibition at Gallerie Soleil in the summer of 2003. 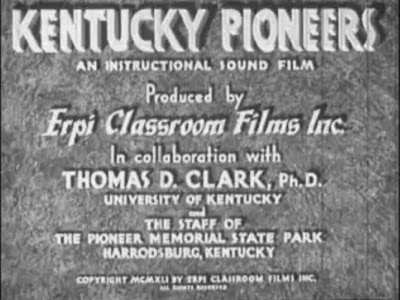 The other night while scouring archive.org pillaging Lale Andersen mp3s for my Voraxica blog, I somehow happened upon a campy 1941 classroom instruction film about Kentucky pioneers. Although some aspects of the film are unrealistic, other details are actually really well-executed. The scenes at James Harrod's fort don't always have a ring of authenticity, but all in all it has a very creepy vibe to it, and I'd still rather watch this grainy old enigma than some zillion dollar budget bloated historical film of today. I can't find any mention of who did the narration, but as an old William Holden aficionado, I'd swear that's him talking even though it's not mentioned on any list of his works. From 1985 to 1986, Lexington's WLEX-TV ran a late-night horror host show called "Monsterpiece Theater", starring a rather cheesy lady in a frightwig calling herself Millicent B. Ghastly. YouTube archivist Nolegsblueguy has many episodes online. The show's brief tenure may be chiefly because of the un-horrific nature of Millicent, who looked more like an L.A. bag lady than a horror host, in spandex outfits and new-wave sunglasses. Then again, it could also be because they were using a toy-store-bought Cookie Monster puppet as Millicent's sidekick. Furthermore, the name "Monsterpiece Theatre" was already in use as a very popular Cookie Monster routine on Sesame Street. Someone's attorney probably called someone's attorney. According to this site, the actress playing Millicent was Barbara Ends, who did it pro bono just for giggles, and left the show only because she and her husband relocated to the east coast. Though he was based out of Indiana, Bob Carter made hundreds of thousands of fans over the Kentucky border as late-night TV horror host "Sammy Terry" beginning in 1962, and then throughout the 60s, 70s and 80s. 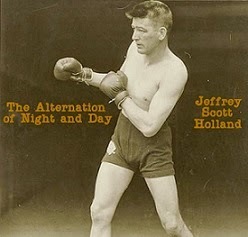 The format of Carter's Nightmare Theater usually involved the showing of two films. During the commercial breaks, Carter, as "Sammy Terry," would engage in camp banter with the audience and his floating rubber spider, "George." 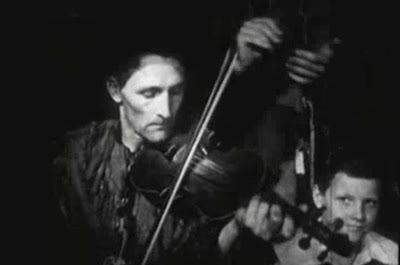 This banter often included some commentary on the films being shown, which included classic films as well as many less-than-stellar productions common to the horror film era of the 1930s through the early 1960s. Sammy's makeup has drifted over the years, sometimes being more clownlike than skull-like. He can still occasionally be seen out there making personal appearances, often for charity. NICHOLASVILLE — A would-be armed robber left empty-handed Tuesday after realizing that his intended target was no longer a bank but the office of a local water district. About 1 p.m. Tuesday, a man entered the office of the Jessamine South Elkhorn Water District at 802 South Main Street — formerly a branch of Farmers Bank — showed a revolver and demanded money, Nicholasville police spokesman Scott Harvey said. Harvey said an employee told the man, "We really don't have any money." Harvey said the robber responded: "I know you have money. It's a bank." But he was told, "No, sir, it's not a bank anymore." "He looked around, realized it wasn't, and he left with nothing," Harvey said. No one was hurt in the robbery attempt. The water district has been in the former bank building since Dec. 15, said Diana Clark, office manager for the water district. Someone once said, "No book is complete until Error has crept in and left its sly imprimatur". And so it goes for Weird Kentucky, which certainly has its share of glitches, errors, goofs, and unintended qualities. Most of them, however, are subtle and unimportant things that you'd never notice - instances where I changed a word or phrase in a later draft of the manuscript, but an earlier draft being what inadvertently got published. Others are more glaring, such as Minnie Adkins being referred to as Minnie Yancey, and the Kentucky State Fair being described as a Lexington event, rather than Louisville. There were a lot of cooks in the kitchen helping me on the book, though, and in all the commotion you have to expect a few broken eggs. Everyone at Sterling, including the Marks, did a great job on their end and between us all, I think we produced one of the more peculiar books of the series. So I don't sweat the mistakes. After all, the book's hardly intended to be a scholarly reference work - it's simply a colorful and fun coffee-table book of rumors, legends, tall tales, stories, myths, and conspiracy theories. 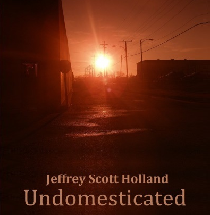 Of course, I could get these typos fixed if y'all would buy more copies (they make great Arbor Day gifts!) and insure that the book goes into a second edition! 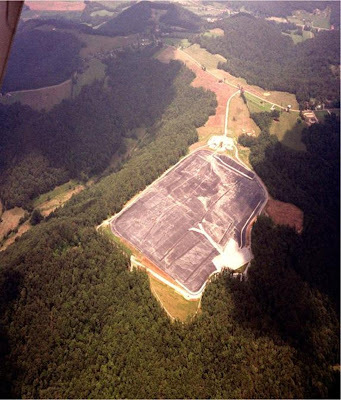 You did know that Kentucky has its very own nuclear waste dumpsite, right? The Maxey Flats Disposal Site opened near Hillsboro in 1963, and contains 4.7 million cubic feet of radioactive waste. Yum-O! 3. Cover 'em up with some dirt and walk away. Dumping at Maxey Flats finally ceased in 1977, after environmentalists discovered that this Fred Flintstone style of hazmat handling was causing an ecological nightmare in the area. But the existing mess is still there, and will be for thousands of years to come. Water in local springs are routinely tested to monitor the radioactive waste level in the water, and we're assured that the public is fully protected against "unacceptable levels of contamination". Now, if you ask me, I would say that there is no acceptable level of contamination. But they didn't ask me. 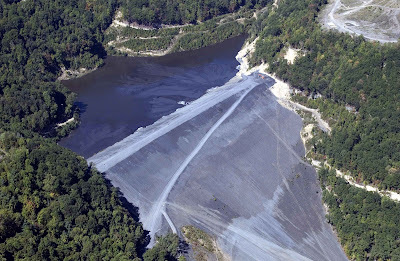 On December 22, 2008, an impoundment at the plant failed, releasing over a billion gallons of a disgusting coal-waste substance that officials dryly refer to as "coal fly ash slurry". Everyone else calls it "sludge". The sludge covered up over 400 acres of the surrounding land up to six feet deep, destroying homes and flowing into nearby waterways such as the Emory River and Clinch River, tributaries of the Tennessee River. This ended up contaminating the water supply for millions of people living downstream in Alabama, Tennessee and, yes - Kentucky. On December 30, 2008 a group of landowners filed suit against the TVA for $165 million in Tennessee state court. the Southern Alliance for Clean Energy announced its intention to sue the TVA under the federal Clean Water Act and the Resource Conservation and Recovery Act. Greenpeace has called for a criminal investigation into the preventable incident. Although it didn't make the news headlines as much as the Harriman incident, a second TVA sludge spill disaster occurred on January 10, when the Widows Creek Fossil Plant in northeastern Alabama leaked toxic coal ash into the Tennessee River, once again threatening the water in some parts of Kentucky. Kentucky's not without its own sludge floods - On October 11, 2000 a coal sludge impoundment owned by Massey Energy in Martin County gushed into a underground mine which subsequently sent an estimated 306 million gallons (1.16 billion liters) of sludge into tributaries of the Tug Fork River. 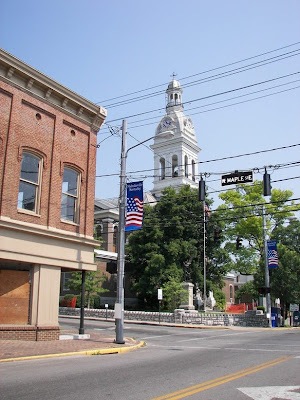 This incident was investigated in the documentary film Sludge by Appalshop filmmaker Robert Salyer in 2005. As if creating the greatest fried chicken restaurant ever and becoming a Kentucky iconic figure himself weren't enough, Harland Sanders led quite an interesting life even before he went into the bird business. In his early adulthood, Sanders was a volunteer firefighter, a chef, a soldier stationed in Cuba, a traveling salesman, a steamboat operator, active Freemason (he underwent his initiation in 1917) and ran several small businesses of his own, including a gas station in Corbin. It was in Corbin that his special way of preparing fried chicken became a great roadside success, and by 1932 a thriving restaurant and motel had developed out of it. Sanders Cafe Chicken was renamed Kentucky Fried Chicken in 1952, and the rest is history. In 1980, Sanders died at the age of 90 of pneumonia and leukemia. He's buried under a visually striking monument in Louisville's Cave Hill Cemetery. A tattoo artist in Brandenburg, KY, Adrian Wright is quickly making a name for himself as a fine artist as well. 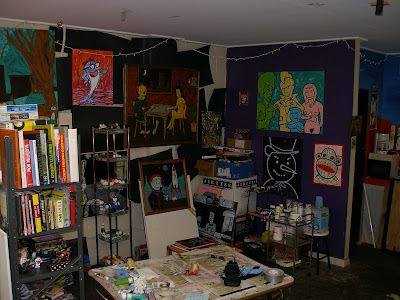 His colorful paintings dwell on classic horror/monster film subjects such as Frankenstein, Dracula, the Wolfman, the Creature from the Black Lagoon, Zombies, and Skulls. 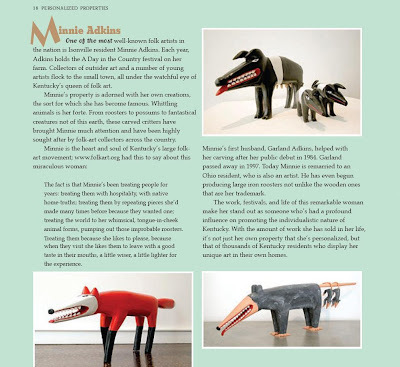 Not surprising, then, that Wright's work is a hit with hipsters of all ages and can be seen displayed in the living rooms of many of Kentucky's most influential people. But here on the UnK blog, I take a far wider and more inclusive scope than in the book, so here's Minnie! Click on the image to see the page mockup of what would have been Minnie's page in the book. 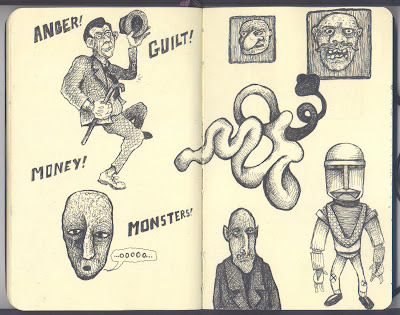 of underground greats like Basil Wolverton, Joe Coleman, and Robert Crumb. Born and raised in the woods of Jackson County, Dockery remains rooted to his native soil, straying sometimes to outlying areas like Lexington, Morehead and Conway but never far from the ground zero that is his ancestral home. He's one of the most genuine Southern-eccentric personalities Kentucky has to offer. 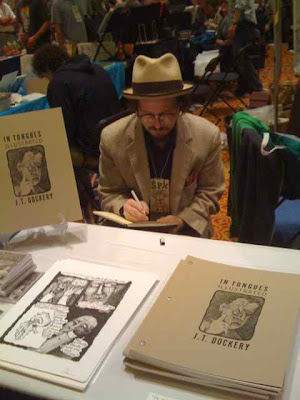 Although beset with sometimes-agonizing arthritis, Dockery manages to ignore the pain without the use of major pain relievers - and not only continues the intensive work on his drawings but also plays drums in a number of local garage-punk bands, most notably The Smacks!, Mickey and the Wild Bunch, Kitty Twister and her Hot Dogs and Cheeseburger and Fries, a street-busking duo with yours truly on guitar and he on drums, percussion, kazoo and harmonica. Hey, that's me! Well, it's my blog, so why not? I'm probably not the weirdest artist in Kentucky (though you might get a different answer if you asked some of my ex-girlfriends) but I do have a grip on a certain unique reality principle, as William S. Burroughs sort-of once said. "I work in a savage, post-neo-expressionist style that is often heavy with line and thick with impasto. For the patient observer, a gradual bigger picture of what I am doing may be formed by studying what I choose to paint and why. My work is about secrecy vs. openness, mystery vs. revelation, rural vs. urban, certainty vs. uncertainty, wave vs. particle. My work is not for the jaded, the ironic, the unenthusiastic, the terminally hip, the perpetually bored. I'm looking for people whose joie de vivre knows no boundaries." Two years in a row, Holland has showered the nation with hidden green plastic Easter eggs with miniature artwork concealed inside. The majority of the eggs in Project Egg remain unfound, however, and are still out there waiting to be discovered. A third installment, intended to reach a global audience, has been cancelled because of Holland's increasing anti-plastics activism. vortex of Kentucky always pulls us back in the end. which she sells through indie outlets such as Kopilot. 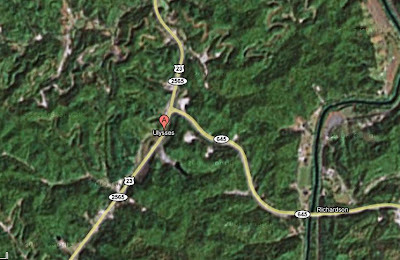 What could have inspired 19th century farmers to name their Lawrence County hamlet after an ancient Greek mythological figure? I lie awake at night pondering such things. And how did their descendents feel about the controversial James Joyce novel of the same name? She is in town every day and has appointed herself the town tour guide, meeting visitors and making sure they see all the sights. She's running on the non-partisan canine ticket and supports feline and canine presence in the General Store. Lucy Lou promises to lend her support to all fund rainsing events and activities. 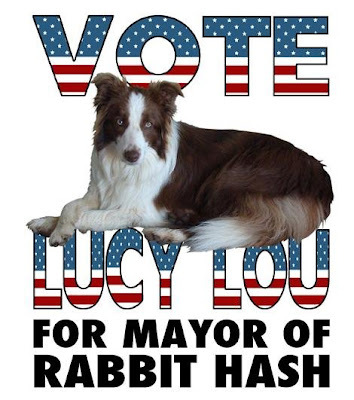 She accredits her aspiration to Rabbit Hash's esteemed former mayor, Junior Cochran, stating that he was her hero. "The name Rabbit Hash may derive from the historic use of the local rabbit population as food. 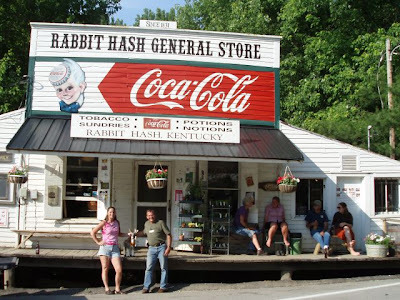 The hamlet's most notable building, the Rabbit Hash General Store, is regarded as the best known and best preserved country store in Kentucky. Rabbit Hash is unincorporated and therefore without fixed boundaries, which makes its exact population a matter of opinion, but the population is generally regarded as between four and 40 depending on how the boundaries are drawn." A film documentary exists called "Rabbit Hash, Center of the Universe" which covers all these curiosities and more. Ever since her body was found by the side of I-75 near Georgetown in 1968, “Tent Girl,” became something of an icon as one of America’s most troubling unsolved mysteries. Her gravesite and the location where her body was found had both become popular “legend tripping” destinations for curiosity seekers. But in 1998, the dogged efforts of private detective Todd Matthews (who refused to give up trying to solve the cold case) paid off: using the internet, he met a woman who was seeking the whereabouts of her sister, Barbara Ann Hackman-Taylor. Barbara Ann had been missing since 1967 but was thought to be have been living in Florida at the time of her disappearance. Because of this, no one had thought to connect her to the Kentucky "Tent Girl" mystery. Her grave, which has since had a second part added to it containing her real name, can be found in Georgetown Cemetery.